My impetuous trip to Thailand in June was all about the diving. So naturally, the initial plan was to fly from Sydney to Phuket and head straight to Koh Tao for the entire 10 days. 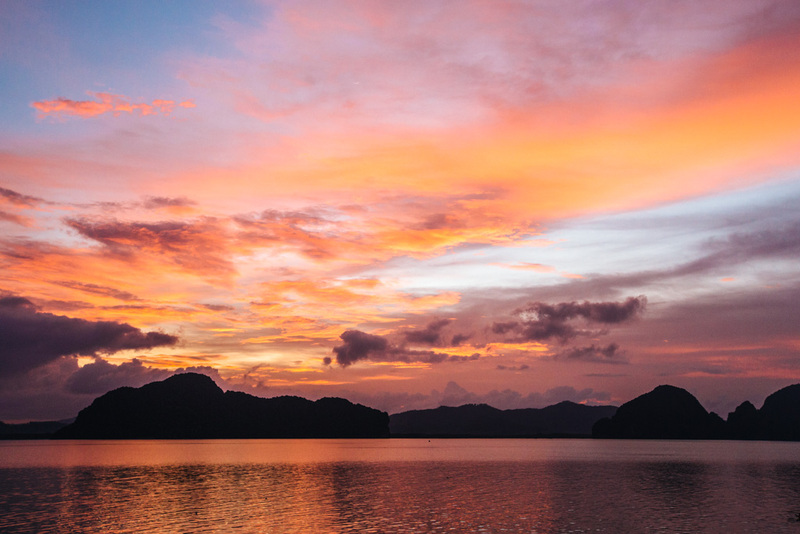 Then I thought, hmm: should I maybe spend a little time in Phuket while I’m there? What even is there to do there, anyway? Turns out, not much during the wet season, aka when I was in town. Phuket and the Andaman islands are really not ideal places to be in Thailand during monsoon season unless you’re cool with heavy rain every day. I don’t know about you, but this sun seeker certainly isn’t! 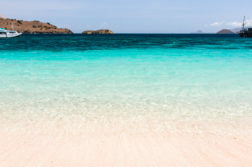 Thankfully Koh Tao and the other Gulf islands are mostly lovely during the wet season. 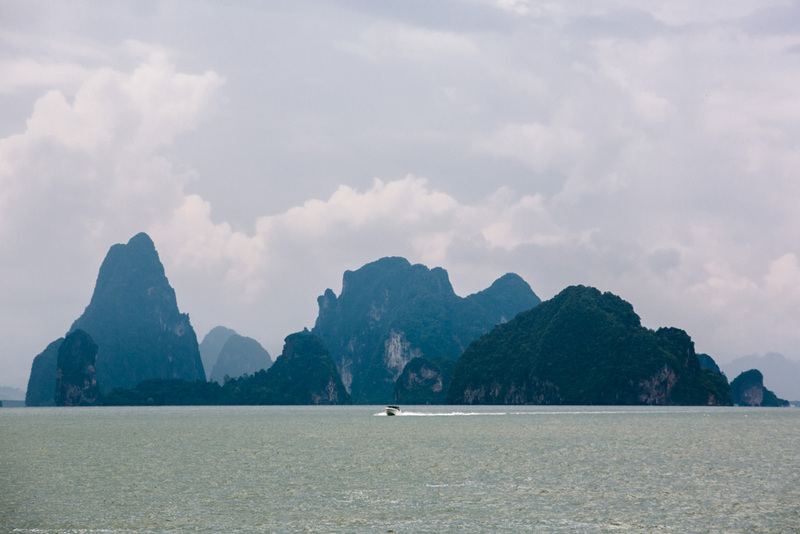 And as it turns out, so is Phang Nga Bay! 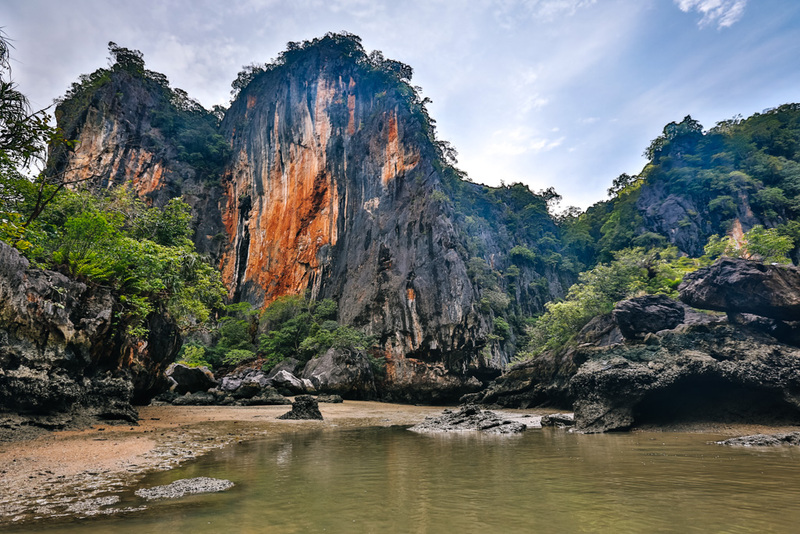 Located just northeast of Phuket, it’s technically part of the Andaman Sea but tends to be sheltered from the monsoonal winds and rains that plague the rest of the Andaman region. 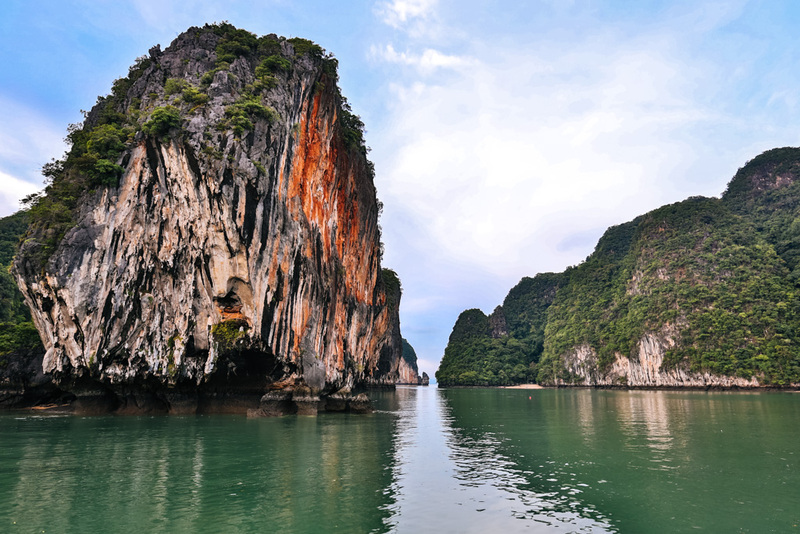 The thing to do here is take a boat trip around the beautifully scenic limestone karsts, particularly on a Phang Nga Bay kayak tour. There’s a staggering array of tours that operate in the bay. 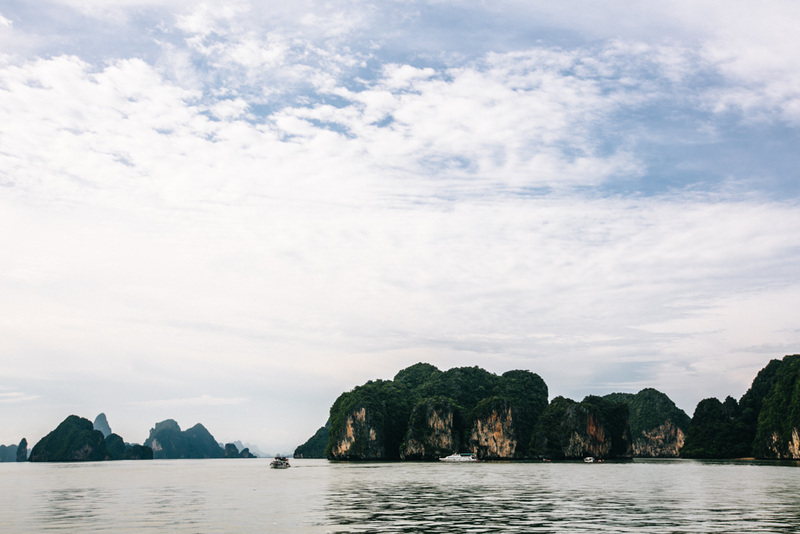 They may let you off on different islands to swim or snorkel, take you to local villages, or head straight to the uber-popular James Bond Island. The vessel might be a speed boat, slow boat, or junk. 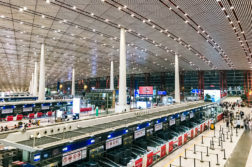 And naturally, the tours all vary on start time and duration. 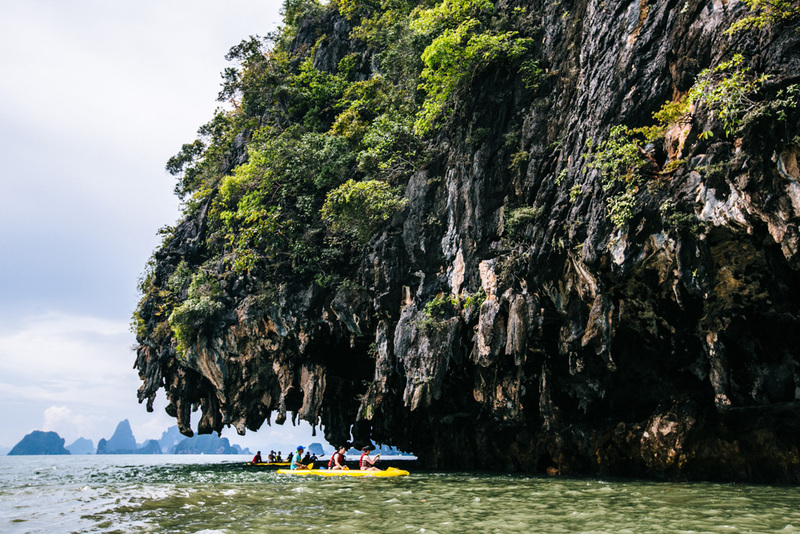 With such a ridiculous number of permutations here, you will definitely find a Phang Nga Bay kayak tour that suits you. As for me, I wasn’t sure exactly what I wanted aside from avoiding the crowds as much as possible. Then I saw the 1600+ 5-star reviews for John Gray’s Sea Canoe and kinda felt like someone was shoving a big fat DUH sign in my face. With that, I booked their Hong by Starlight day trip from Phuket. 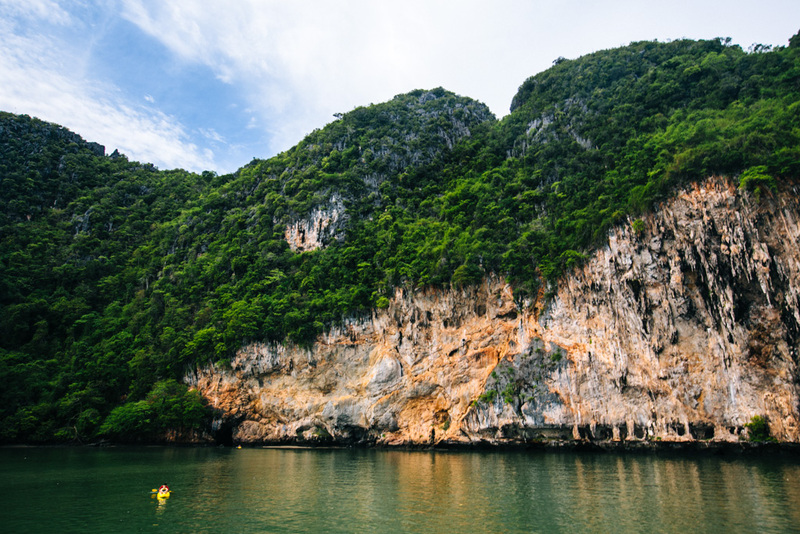 You guys, the mass amount of TripAdvisor reviews don’t lie: this Phang Nga Bay kayak tour was one of the best things I have ever done on my travels. And I’ve done a LOT of pretty rad things around the world, so know that this isn’t hyperbole. Okay, first a note on the name: What the actual f*** is a sea canoe, amiright? 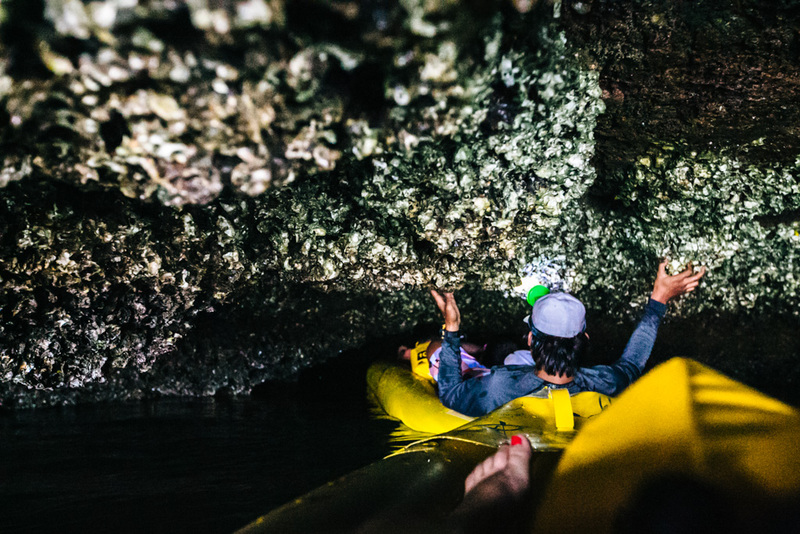 This tour utilizes inflatable kayaks to explore some caves, definitely not canoes in any form. In fact, I’m pretty sure there’s no such thing as a “sea canoe”, and that John Gray cleverly used the faux-term in his business name to stand out from the crowd. But more on kayaking in Thailand later. 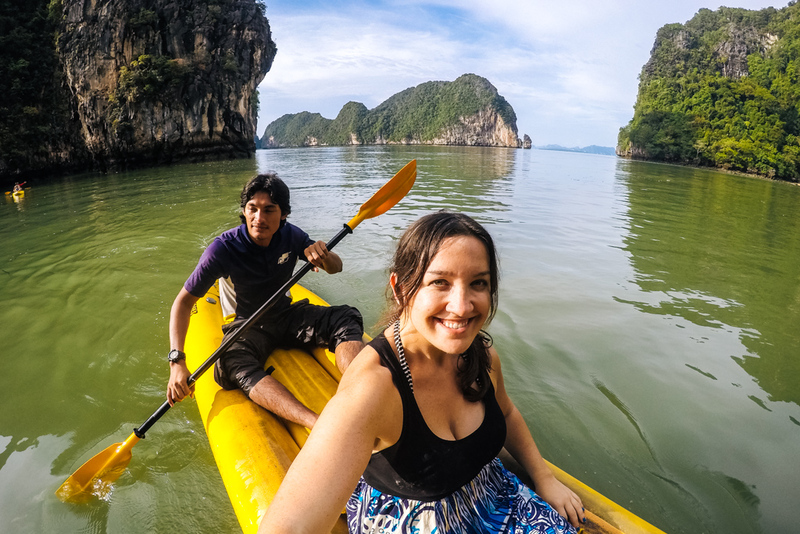 Now, onto the Phang Nga Bay kayak tour! The Hong by Starlight tour starts late to avoid the crowds, and returns late after a very long day at sea. 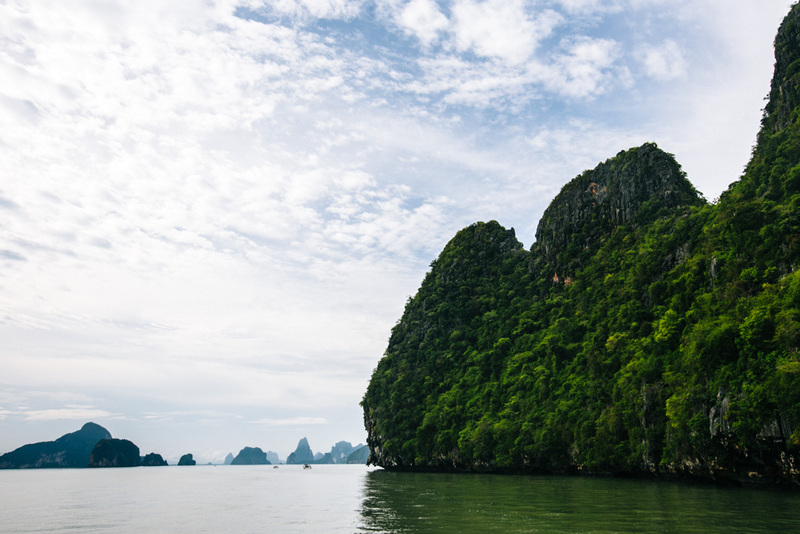 I got picked up just before noon at my hotel in Patong, where it was pouring rain, and dropped off about an hour later at the Ao Po pier on Phang Nga Bay, where thankfully it was dry (albeit cloudy). They have everyone convene for check-in at a little shop by the pier where you can buy snacks and dry bags, but don’t waste your money because you’re very well fed on board and there are large dry bags on the boat which you’re encouraged to borrow. From here, we boarded our big slow boat and headed out into the bay. I know I’m all about the active, outdoorsy stuff, but honestly: there’s nothing I love more than sunbathing on a boat in a tropical locale. 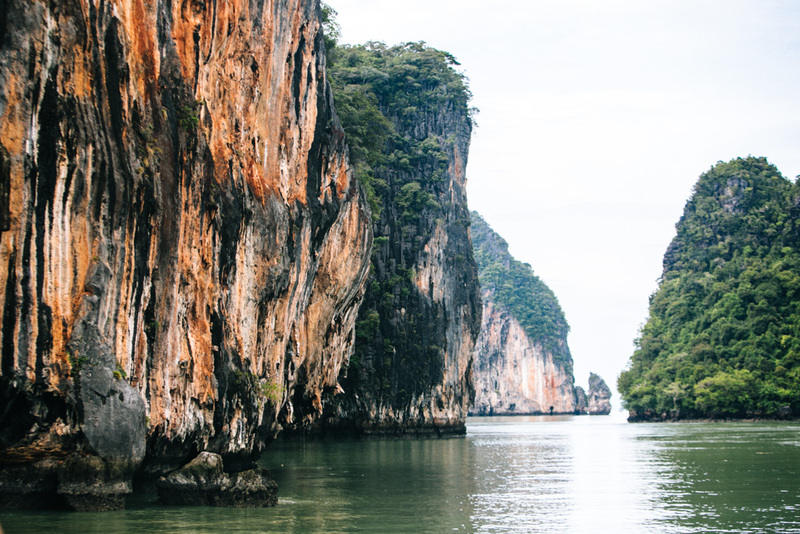 I’d have been pretty dang happy touring Phang Nga Bay on a sailboat and alternating between gazing out at the plentiful limestone karsts and dozing off in the sun. So I have to admit I was pretty ambivalent about the whole cave kayaking thing. Early on in the trip, they paired us up with a local guide so that it was two people per guide/kayak (or two parents and one small child per guide). This solo traveler got a guide all to herself, though! You know all those limestone karst islands? Well, many of them are actually shaped like doughnuts – and at low tide, you can paddle through them and into the lagoon in the center. 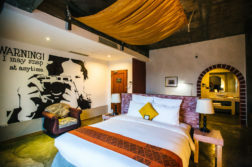 The “hong”, if you will (that’s Thai for “room”). I did initially wonder why it was that we had to be paddled through the caves by a guide, rather than paddle ourselves. I mean, how unfit did they expect their customers to be? Surely most of us can handle a quick paddle. Little did I know how harrowing these cave entrances would be! No way in hell could or should the average person attempt to pass through without guidance from someone who’s done it many times before. You have to know exactly where to enter and exit, lest you get lost in the maze; and you must skillfully deflate the kayak at certain points so that you can safely pass through without getting stuck. The photos below should help illustrate my point. It gets much tighter further on, to the point where I had to tuck my camera away, lay completely flat on my back in pitch dark, look straight up at the rock and pray to god that my face wouldn’t get sliced off. Hello adrenaline rush! We wrapped up our kayaking for the day and returned to the boat for THE MOST FABULOUS THAI FEAST IN ALL THE LAND. It may have been the best Thai food I’ve had in my life, and I totally regret not gorging on it (I think I must have gotten distracted by the view or something). Then we paired up with our guides and helped them build a “kratong” out of flowers and banana leaves. 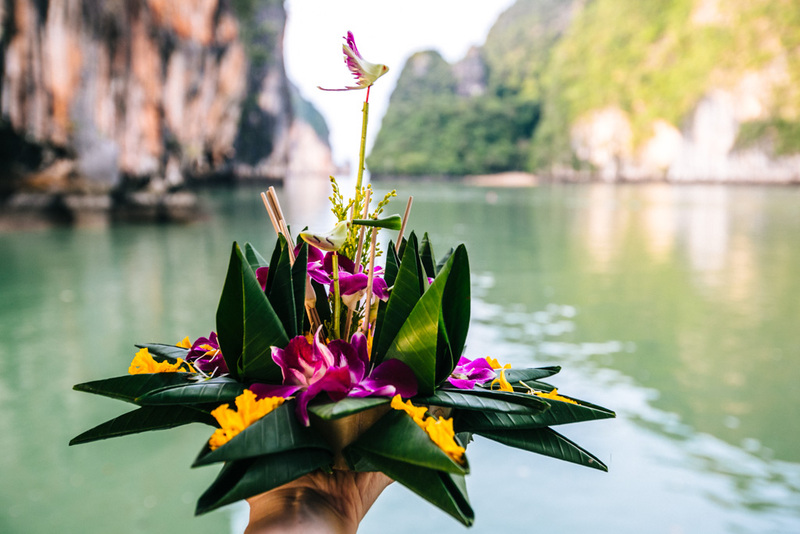 The Thai typically release these vessels down a river during the Loi Krathong ceremony and make a wish. 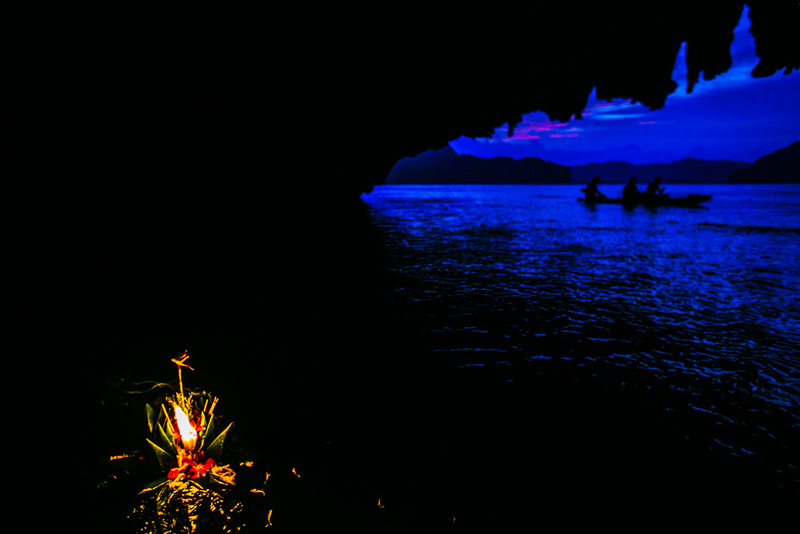 For the purposes of this tour, we’d paddle out once more on the kayaks and release the kratongs into the bay after dark. Despite the relatively cloudy day we were dealt with, the sunset that evening was absolutely spectacular. I’m glad we got to fully enjoy it before hopping back into the kayaks one last time at dusk. 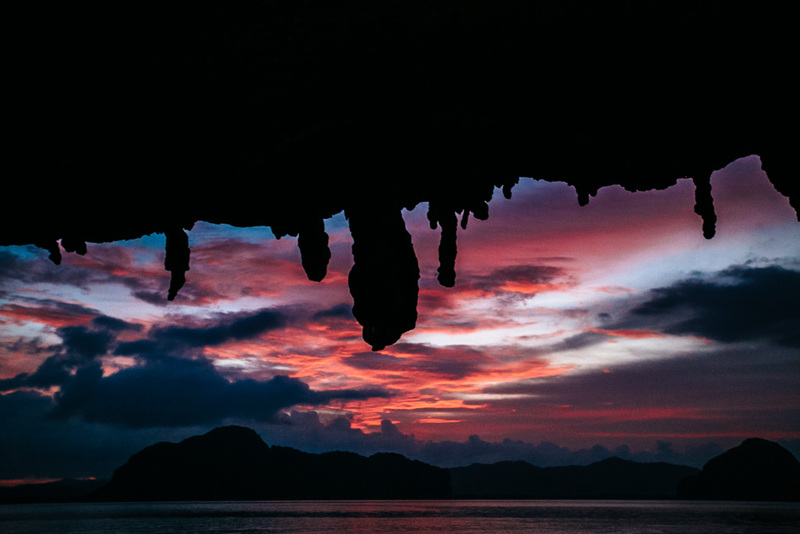 We paddled into a cave nearby to check out the phosphorescent plankton that you can see glowing under the water once it’s dark. I loved doing this in Maya Bay and at Koh Rong during my big Asia trip in 2013, but it was a lot less thrilling from a kayak and under a time constraint. Plus, they’re best seen in complete darkness, which we didn’t quite have at dusk. Then we lit the candles and incense in our kratongs and let them out into the water. I loved this part, but!… it was a little weird that I had to grab my kratong after a few minutes, blow out the flames, and take it back onto the kayak. It lost a bit of the magic there, I felt. 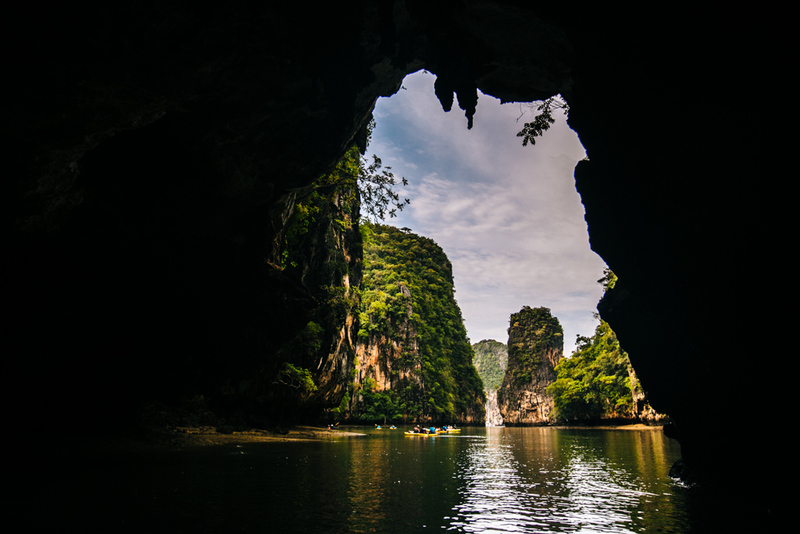 I’m very on board with the eco-friendliness, but I don’t know, maybe they could have had someone paddle out to the cave to collect the kratongs afterwards? 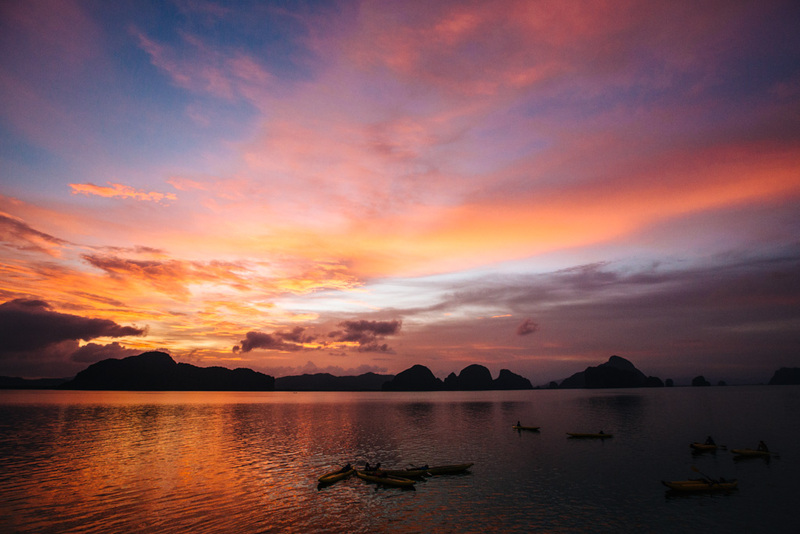 Rushed ending to the day aside, I love-love-LOVED my Phang Nga Bay kayak tour. And true to their claim, we did avoid the tourist crowds. 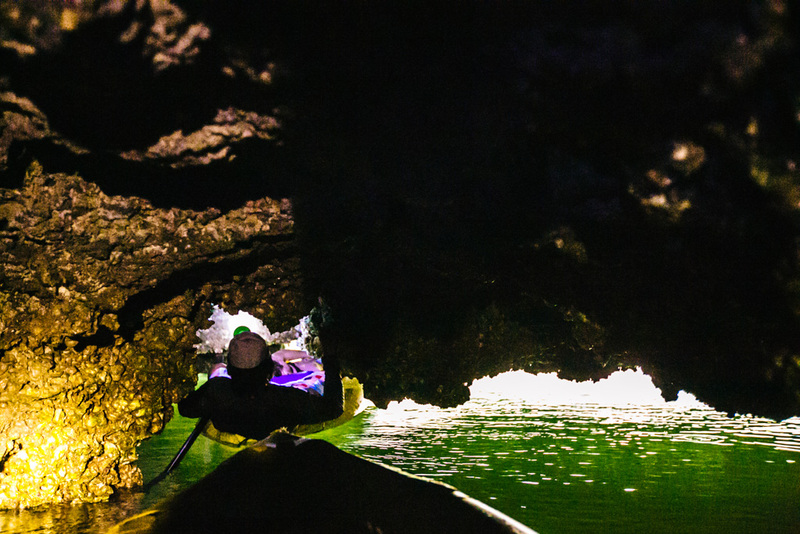 I got extra-lucky with a guide that liked to be the first into all the caves – it felt like I had it all to myself for the first minute or so before the rest of the kayaks followed us in. 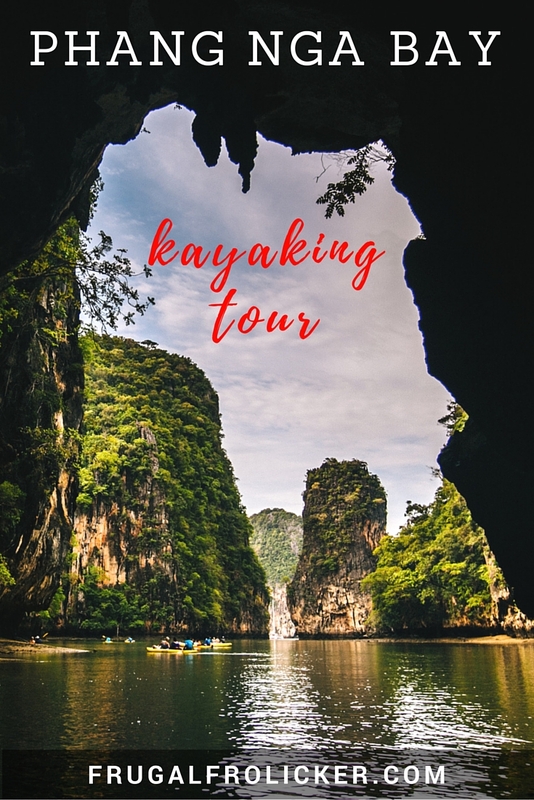 Unless you’re clastrophobic or have zero desire to kayak, John Gray’s Sea Canoe Hong By Starlight tour is the way to go! Seriously – 1600+ rave reviews on TripAdvisor can’t be wrong. Worth every baht and more, I say. The Hong By Starlight tour with John Gray’s Sea Canoe costs 3950 THB (~ US$112).